Are you planning on sprucing up your garden by planting a few trees in the upcoming Spring? If so, follow these tips to give your trees the best chance to thrive. Spring is a great time to plant trees as it gives them plenty of time to acclimate before the heat of the summer arrives. Contrary to popular belief, it’s recommended to scout out the best location before choosing which type of tree you’d like to plant. This is because each species of tree will have different environmental requirements like necessary amount of sunlight, type of soil, and ease of care. For example a tree that requires very moist soil, will not thrive if the spot you have chosen is mainly clay based soil. To give trees the boost they need, many people often turn to fertiliser. However, the importance of testing your soil before fertilising is often overlooked. Testing the soil you’re going to plant is crucial because this will tell you exactly what nutrients are lacking. This allows you to provide your tree the best fitted fertiliser for the surrounding soil. The watering of a newly planted tree can be tricky, as each type of tree will require a different amount of water. Due to their developing root systems, they will need to be watered far more often than the older trees you may have in your garden. For best results, it is recommended that you surround the base of the tree with a thick layer of mulch as this will help lock in the much needed moisture in the soil. The best time to be planting trees is late fall to early spring. If you’re starting to reach mid to late spring, its suggested that you postpone your planting and wait for Autumn. 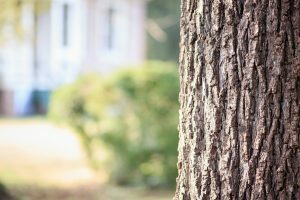 If you do not plant the trees early enough in the spring, you run the risk of the tree not being able to acclimate quickly enough and will be unlikely to survive a hot summer. Don’t hesitate to give us a call if you have any questions about when or where to plant your trees. At Butlers, we are always happy to help .